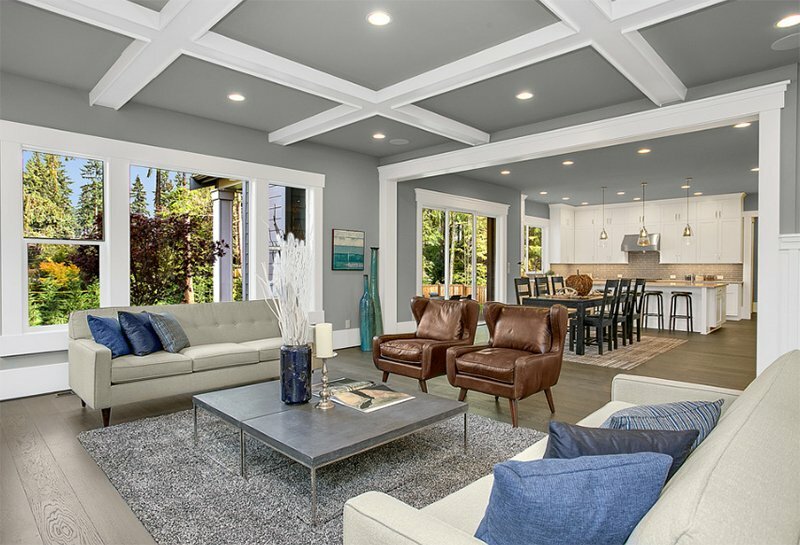 You think a brown and gray space looks dull? This list will change your mind! 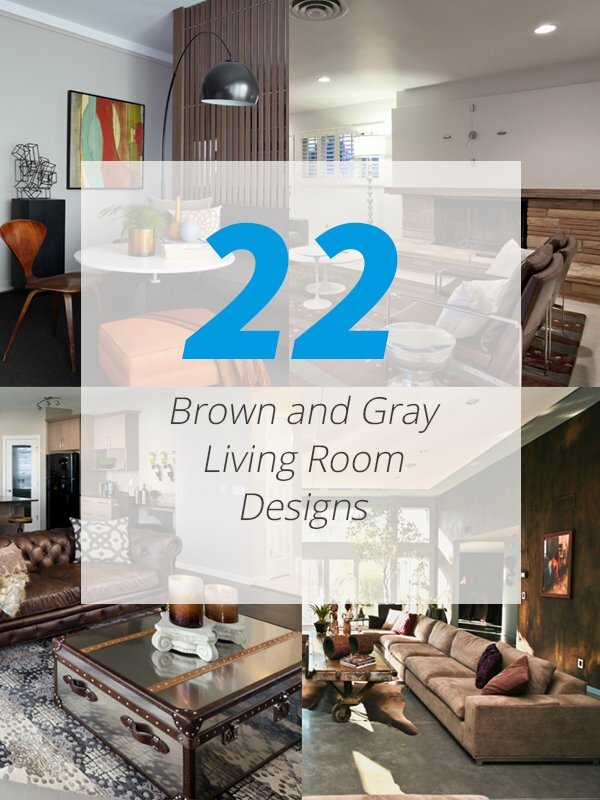 For sure, when you think of brown and gray, what comes to your mind is that they look boring. Well, many think that these are two boring colors. And when combined together, it would look even more boring. But I think it isn’t the case because it only depends on how you do it. When used for the interior, it looks even better as long as the layout is good and the manner of decorating it is also perfect. Well, you don’t have to actually stick with those to colors totally. It never hurts to throw in some accents too. Lovely, right? It is nice to see grays and browns here together that added to the warmth of the space. Aside from that, you can also notice that different textures are also used in here. A simple living room with a lovely yellow drape that brings more life to it. Notice how it combined colors using the furniture. 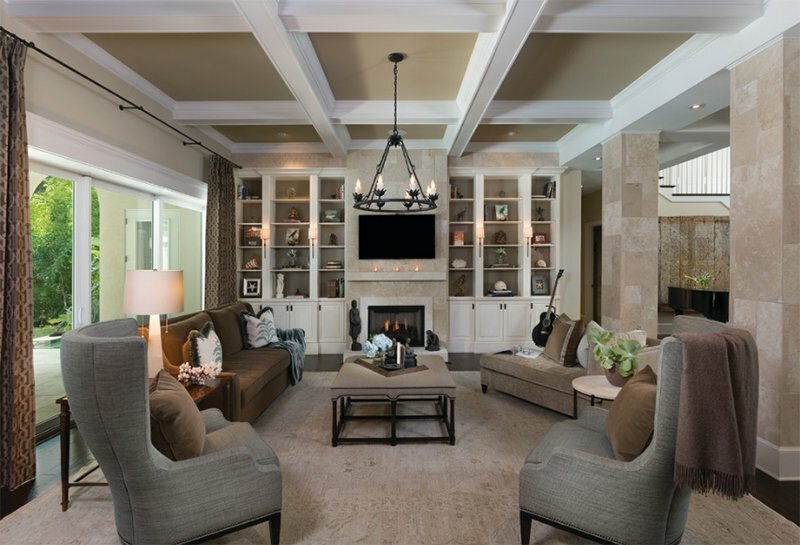 This living area gives a small more intimate feeling with custom wall colors in rich tones, textured wallpapers, and added warmth and personality though patterns, textures, art and antiques. 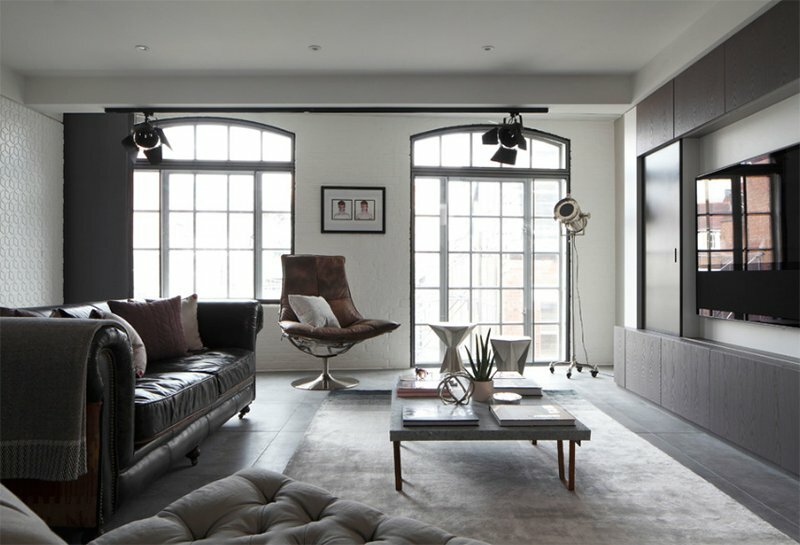 Apart from the brown sofa and the gray love chairs, I like the black and white accents in here. 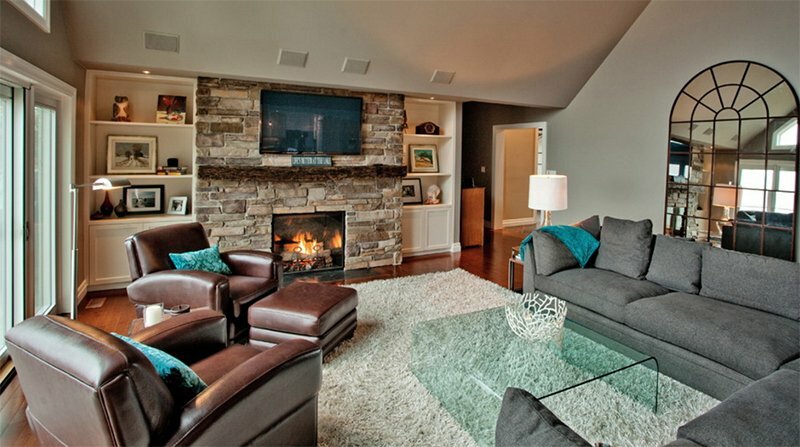 A comfy and cozy living room that features brown leather lounge chairs, a shag rug, a waterfall glass table, a fireplace with stone surround, and large grey sectional. So contemporary in style! 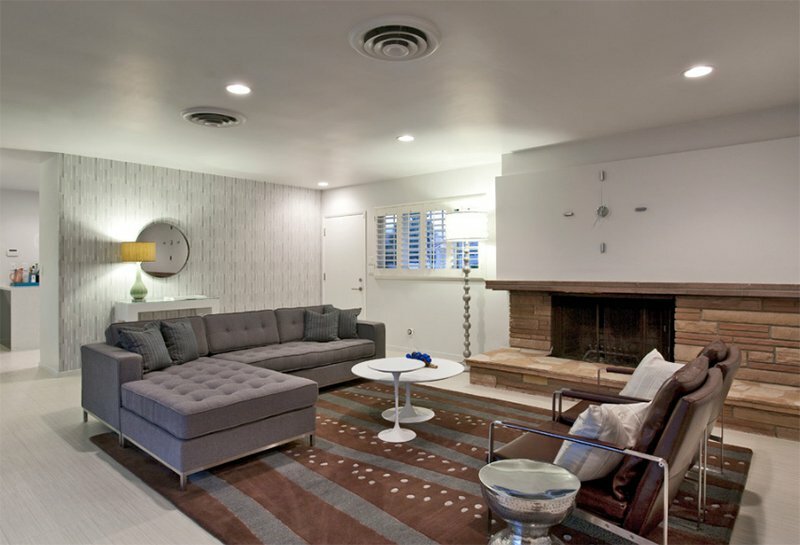 I like how different shapes are being used in here from the throw pillows to the wall decor. Everything just looks lovely even though it used gray more than brown. 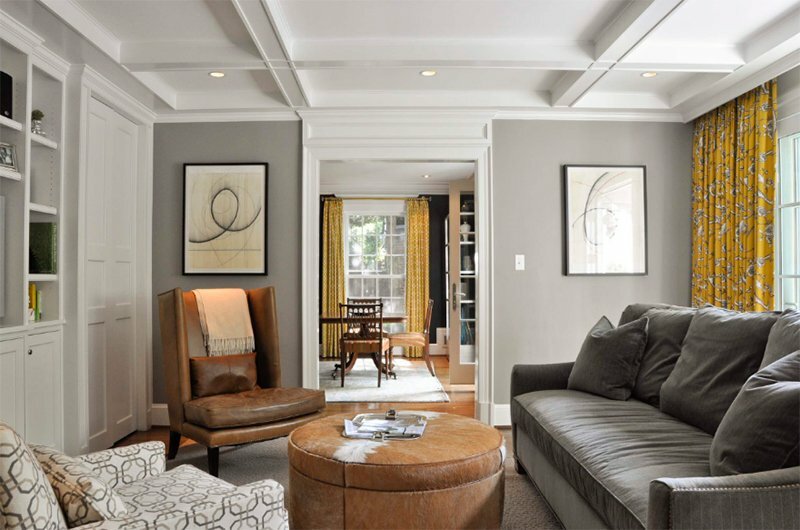 For this one, a gray sofa and a brown sofa are facing each other. Of course, it doesn’t look boring after all. You can see that it features a tall bookshelf too which doubles as a decor for the space. This looks like a refreshing living room to me especially that they have fresh flowers and plants in it. I can also sense a tropical feel in here. This living room may appear a bit dark but that is because of the dim lights. You can see that it has brown sofa in here and two gray ottomans. In the center sits a glass coffee table. 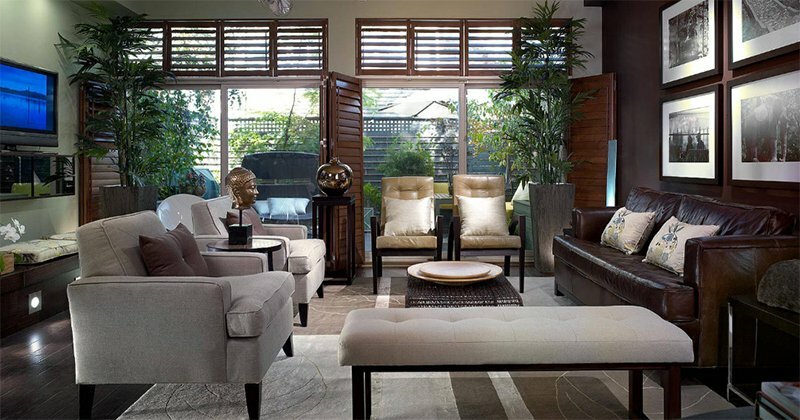 This living room is a stunner with an Asian feel in it. I like how it is arranged and how it faces the outdoor space which makes it more refreshing. Of course I love that area rug! Anything chevron is indeed lovely! I can say that this one of the living areas in the list that I like the most. 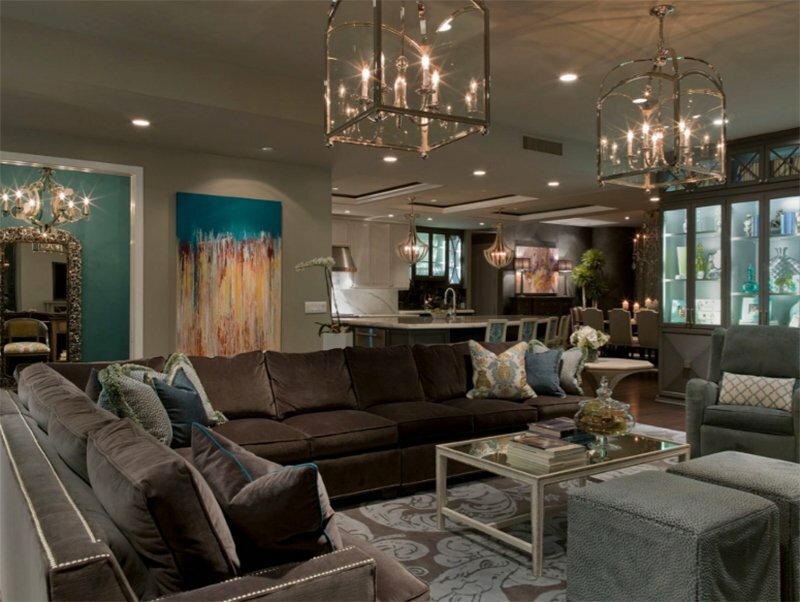 This one has an intricate area rug design and throw pillows with some artistic gray print sitting on a brown leather sofa. Over all, it looks really nice with an open plan. You may see many gray colors in here but it is nice that a brown drape was brought to the space. There are also two orange wall decors that bring a pop of color to the area. Brown and gray looks even nicer when white comes in between them! 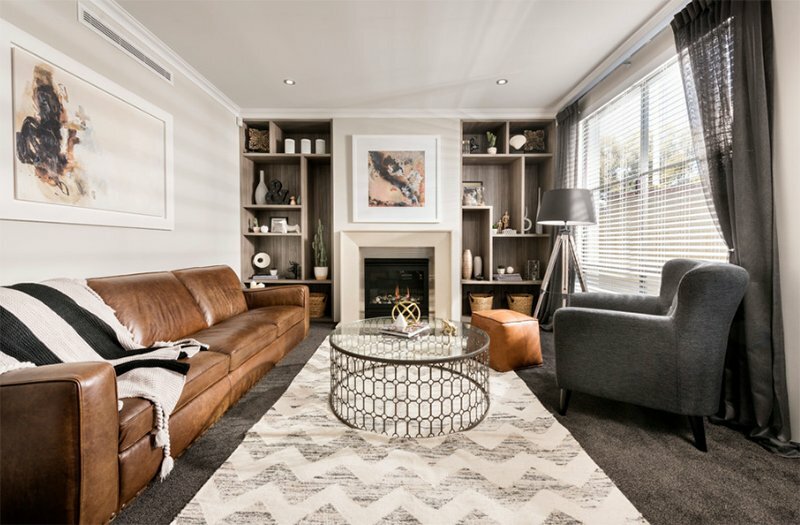 Isn’t this a lovely living room? Although this one looks classic, it still have a strong visual appeal in it as it used textures for the columns. If the previous one looks classic, this has a luxurious appeal on it as it used black glass for the table and different materials for the chairs. If you are the type who doesn’t like to overdo things, then this is the one for you. It used gray for most areas but added a brown accent chair. 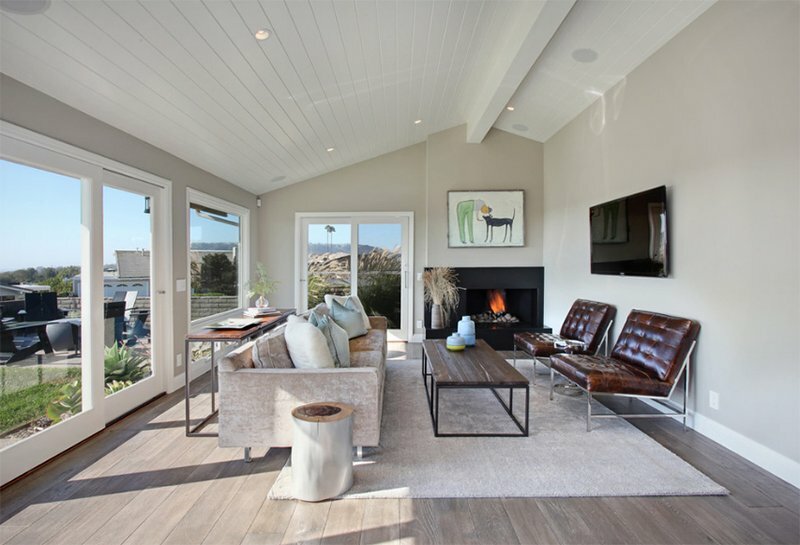 Love the simplicity of this living area wherein you can spot a wooden chair, a gray sofa and a round white table. Notice also that there is a wall art that brings more appeal to the area. 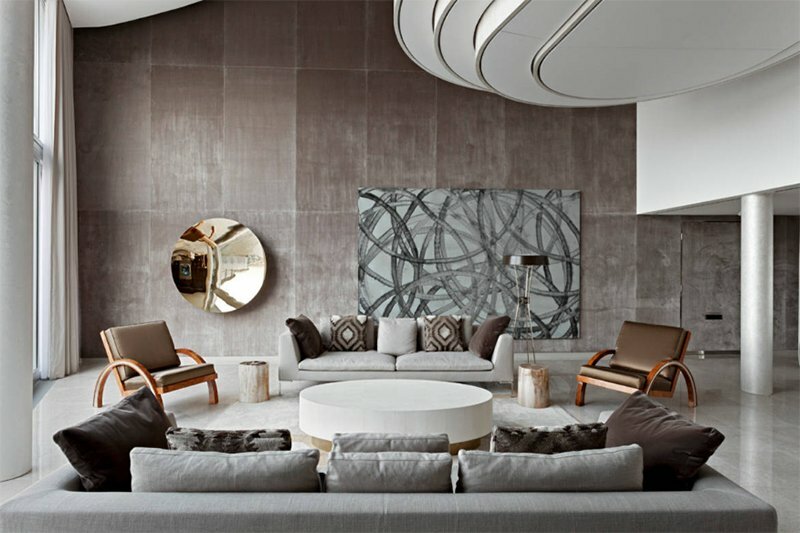 A stunning living space with a pair of brown chairs that look nice with the gray colors around it. It is a good idea to have a wide window on the side. This is also a great example of using brown and gray. I like the design of the fireplace wherein it used white on the upper area and stones under it. 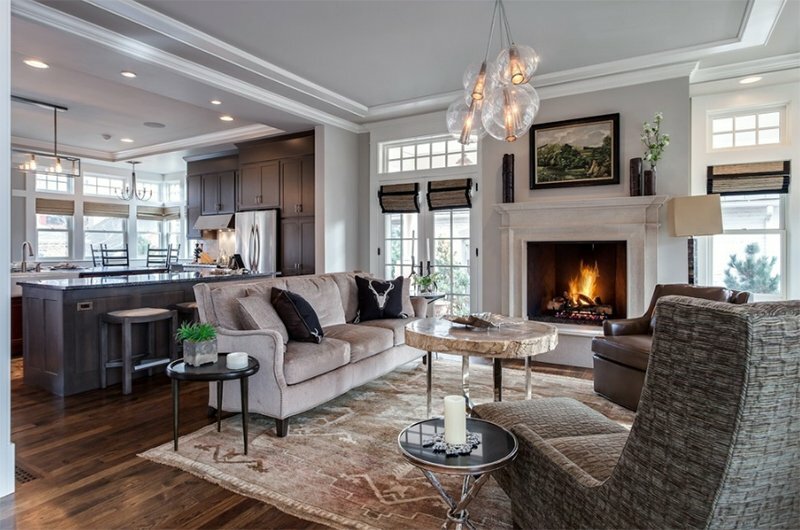 And of course, the design of the area rug is really stunning! 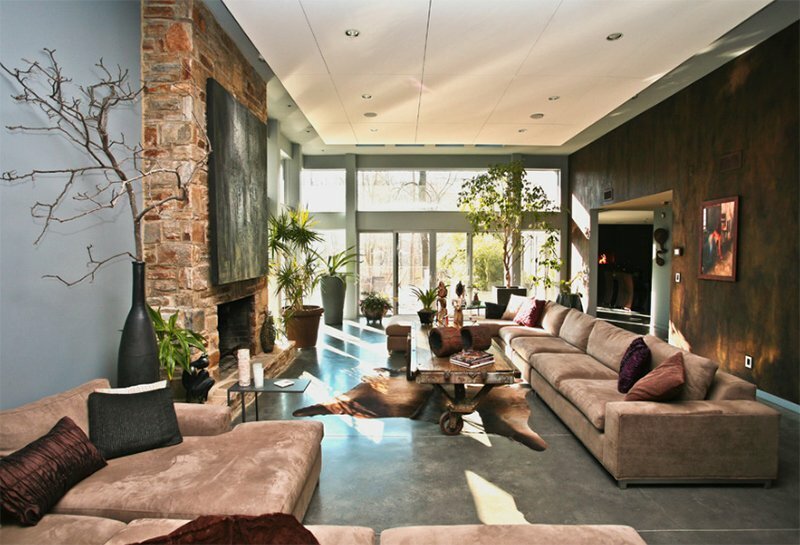 I like the warm feeling in this living room because of the plants and other decors on it. That wall looks nice even if it is dark. 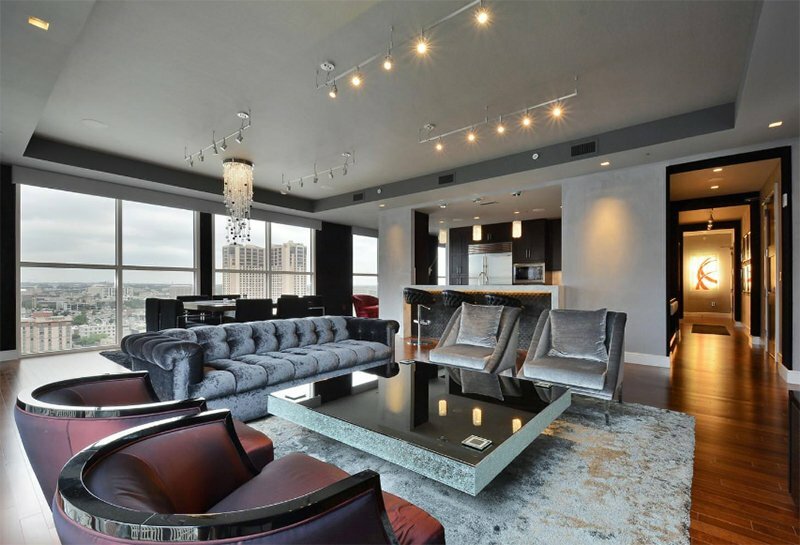 A high rise penthouse is blessed with this lovely living area with silvery gray furniture and a lot of wooden features that brings in the brown color. 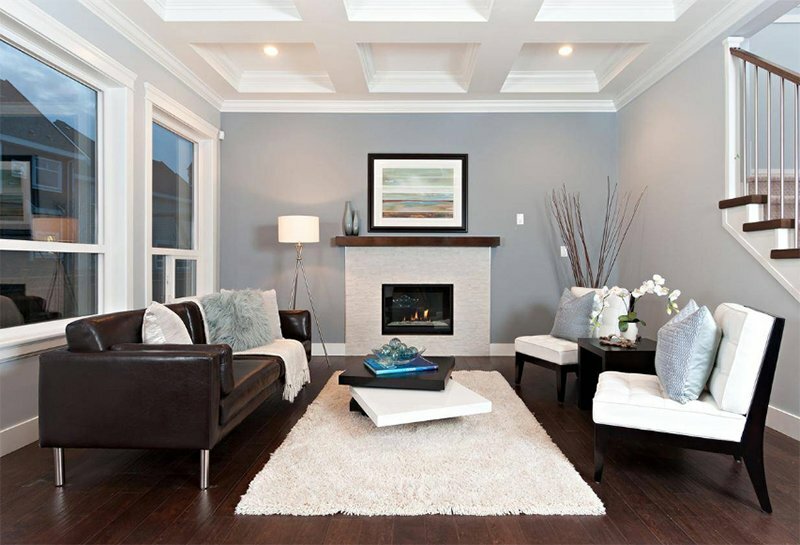 A gray home interior with looks so bright and airy! 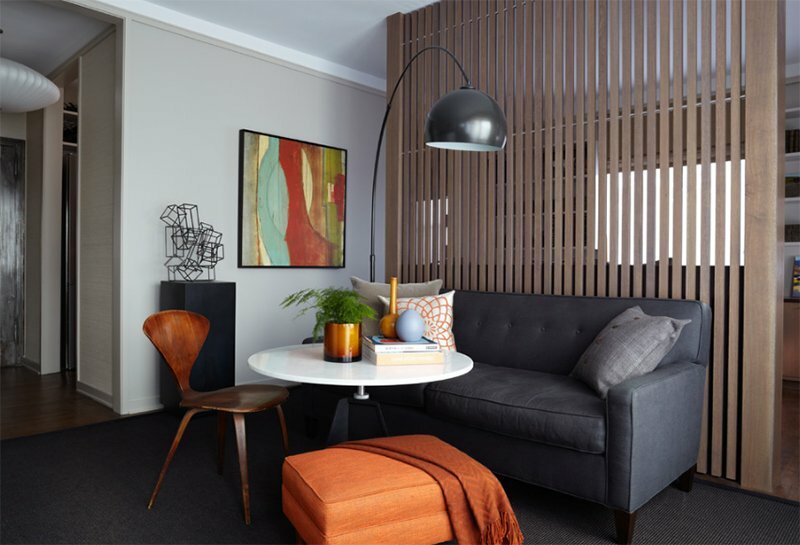 For sure you can notice the leather brown chair that brings texture and color t to the area. Who would think that the combination of brown and gray will actually turn out really nice? As you can see, there are so many ways to do it and they all look lovely in whatever manner you do it. Of course, it is okay to add other colors in it too. It will still look stunning in the end as long as you have the right layout and you have arranged everything well in the living room. Also, see to it that your decors and accessories match well together. 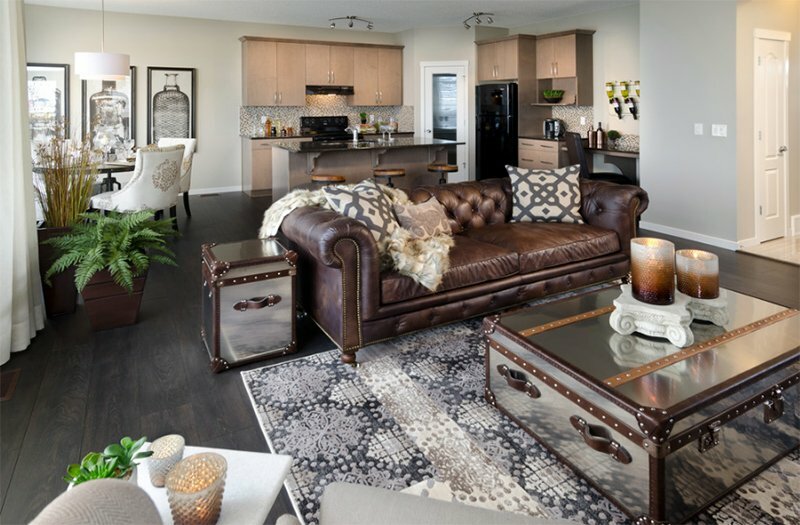 Can you tell me which of the above living rooms with brown and gray do you like the most? Would you consider using this color combination for your home?